The Kentucky Derby is on May 4 this year! If you’re throwing a Kentucky Derby party and need some easy DIY party ideas, we have you covered. Getting an official invite to a party always makes it feel more fun. And since you’ll be wearing your best Kentucky Derby attire, this feels like a party you should send an invite for! Once you have created your guest list for your celebration, you can download our printable Kentucky Derby party invitations. 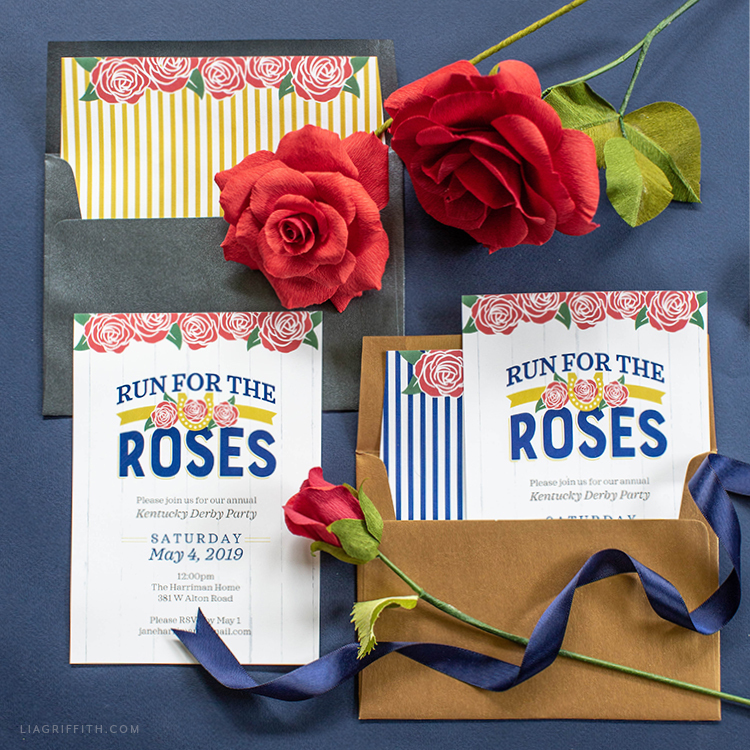 Did you know that Run for the Roses is a nickname for the Kentucky Derby? As you can see, this was the inspiration for our design! The only thing you’ll need to change are the details, like the address of the party and the RSVP info. Playing off the roses theme, it might also be fun to make some paper roses to use as party decor. The roses pictured here are our crepe paper ruby roses, which we have a live video tutorial for. 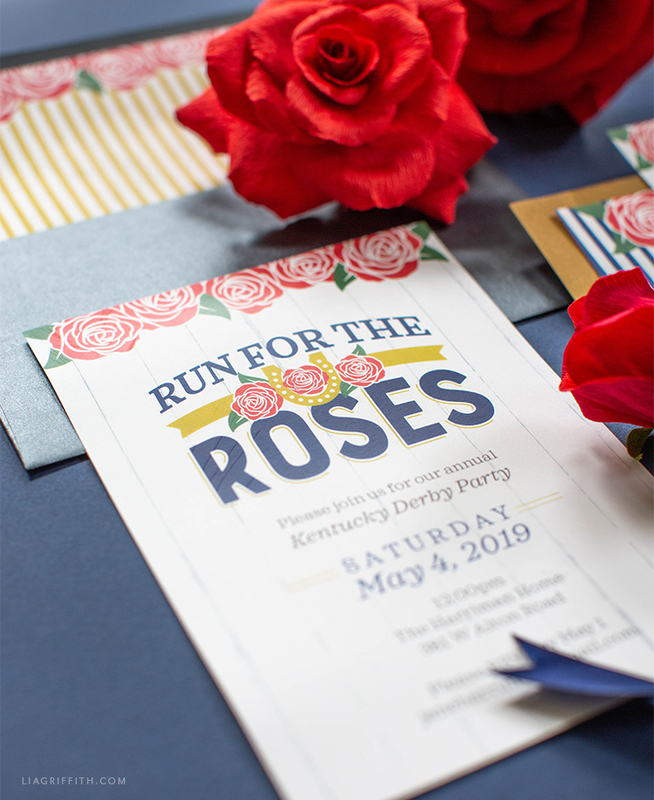 Since gold and navy look good with red, those are the other colors we chose for these Kentucky Derby party invitations. If you want to use the same color of envelopes that we did, you can find them linked below. We have one more fun and easy DIY idea for your Kentucky Derby party, so stay tuned! We will be sharing it later this week on the site. Before editing your Kentucky Derby party invitations, make sure to download the Sagona Demo font. It’s free to download—just click on buying options and then add it to your desktop for free. After editing your invites, print them onto white cardstock. Then print the envelope liners onto text weight paper. The final step is to assemble your invites and then send them out! 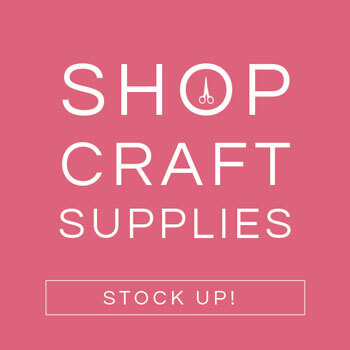 If you like crafting your own party goods, make sure to check out all of our styled party DIY ideas. 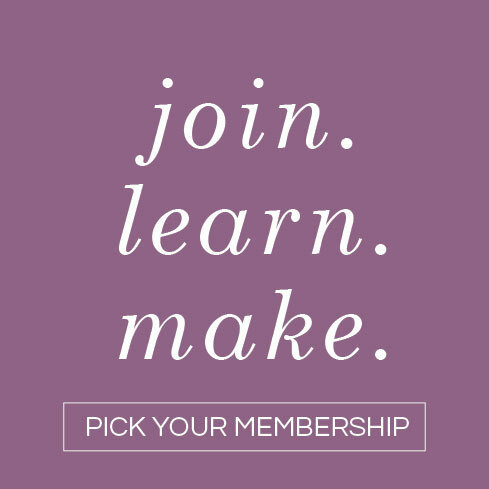 For more inspiration, follow us on Facebook, Pinterest, or Instagram. 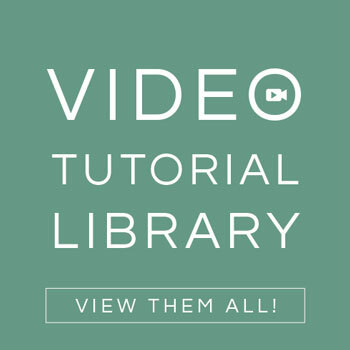 And check out our DIY videos on YouTube. To download this printable party invitation, become a member.